A relatively large bee. Lengths, queen 17-20 mm, workers 11-16 mm, male 14-15 mm. 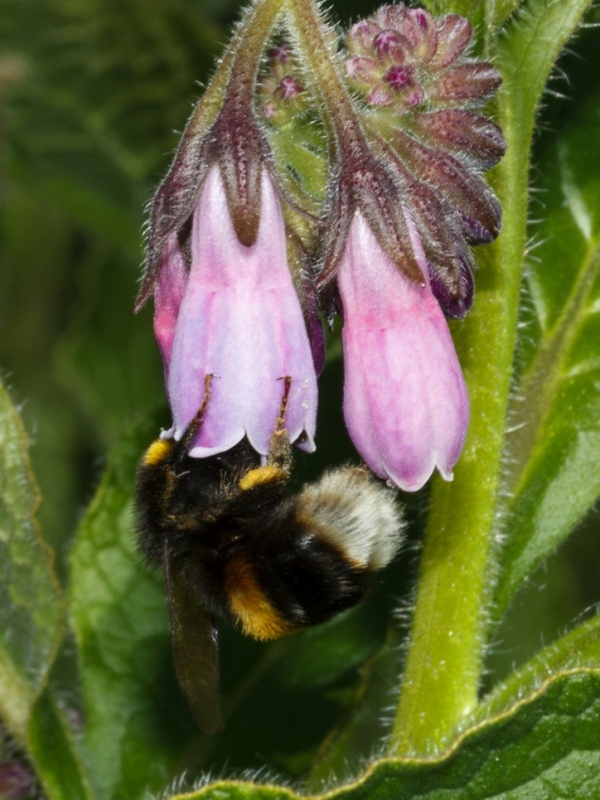 Bombus hortorum has a long head and a slimmer body than some other Bombus species. The collar, scutellum and 1st abdominal segment are yellow, the tail is white. A rather scruffy looking long haired species. Pollen basket with black hair. Often seen in gardens as well as woodland edge and scrub areas, Bombus hortorum prefers flowers such as Red Clover, Cowslips, Foxglove, Vetches and Lavender. Late April to early October. Colonies contain between 50 and 120 insects, and are present between late April and early October. 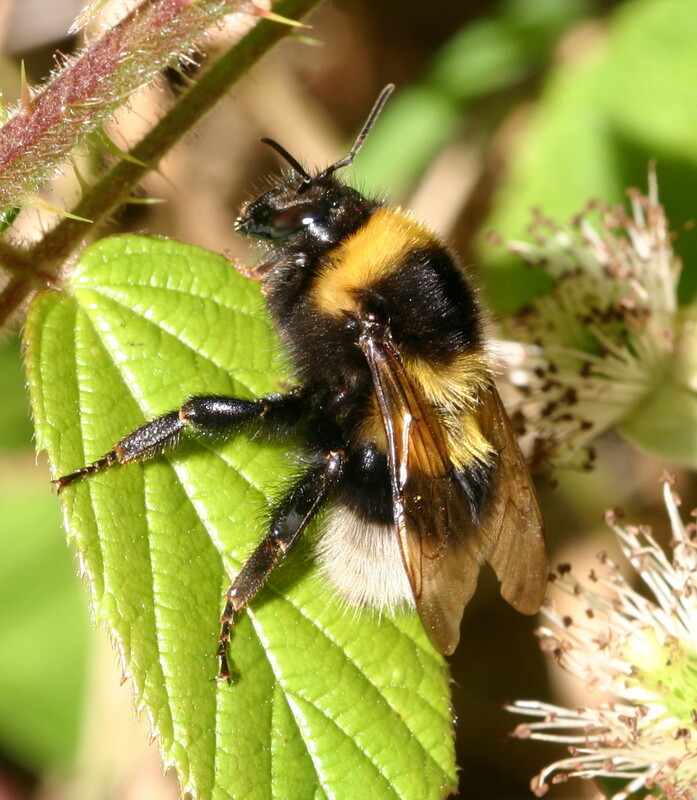 The queen is the only member of a colony to survive the winter, they emerge in April and begin to search for a suitable place in which to establish a nest. Nests are typically made underground, in banks and among tree roots, or occasionally above ground in bird boxes. They are short-lived with an average life of around 14 weeks. 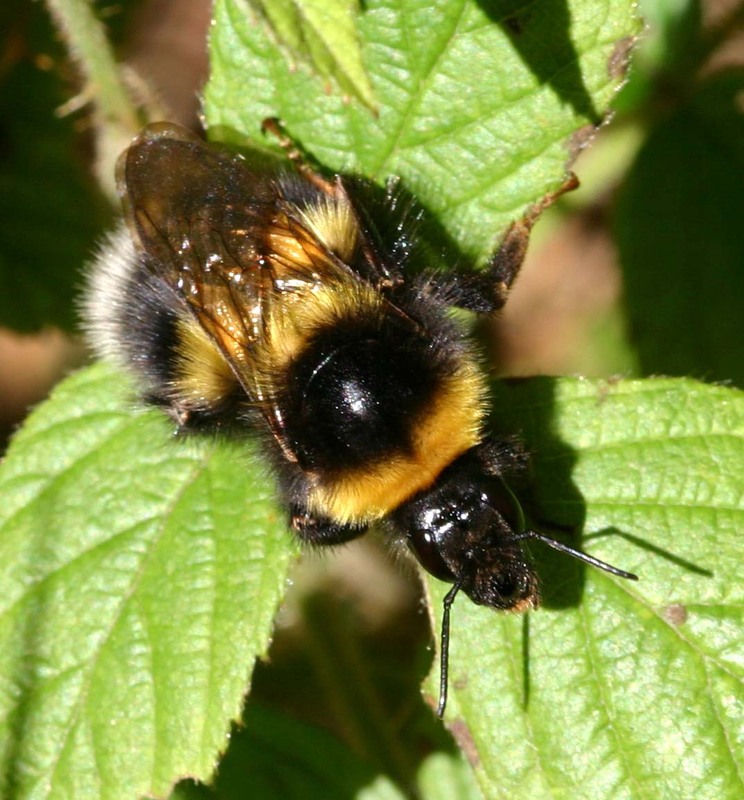 This species is one of the commonest and most widespread of bumblebees in Britain.